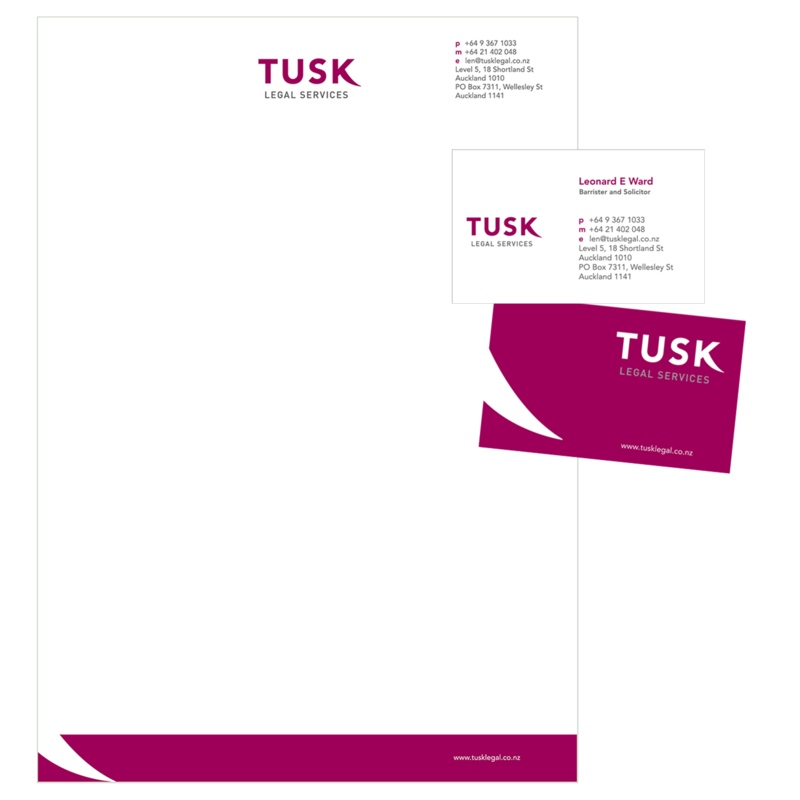 Tusk Legal Services is a small Auckland law firm. Based in the heart of Auckland city, Tusk Legal Services is a small, business focused law firm. The bright, bold brand reflects their attitude and matches their professionalism. Not only does the name have a personal meaning, the colour was inspired by the client’s fabulous fashion sense.